Agricultural - MacHardy, Alexander & Whyte, W.S. 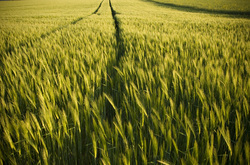 We can advise on all aspects relating to the purchase and sale of agricultural land and related matters. This is something with which we deal with regularly and we have experience in dealing with the particular issues that arise. It is important in such matters for the solicitor to be able to take an overall view of the various issues that can arise and we are in a position to advise you in respect of these, where necessary, working with other advisors who are assisting you. We can also advise you in respect of matters relating to agricultural tenancies, which is a specialist area. There have been numerous recent changes in the legalisation in relation to agricultural tenancies and it is important that full advice is taken in respect of such matters and we are able to provide this. We can also advise you on development opportunities which may arise out of your ownership of agricultural land. We can also advise you on Option Agreements whether in relation to development land, wind farm proposals and related matters.